My husband thinks I'm crazy, and a lot of you out there would probably agree with him, but I love Barney! My twins grew up watching him, and my four-year-old will still watch him once in awhile. And actually, they won't admit it, but my twins can easily get caught up in an episode every now and then. I like Barney for a lot of educational and social reasons, but it's the seasonal shows that I really love (surprise!). I found Barney's Halloween Party at Target years ago when my twins were young. It was only $5, so I thought, why not? Well, we have definitely gotten our $5 worth. We've watched this DVD every year at our house for over five years. I love to get it out each fall, and my boys really do love it too, they just won't admit it! Anyway, there's a part of the movie when the kids and Barney visit a farm for items for their school carnival. 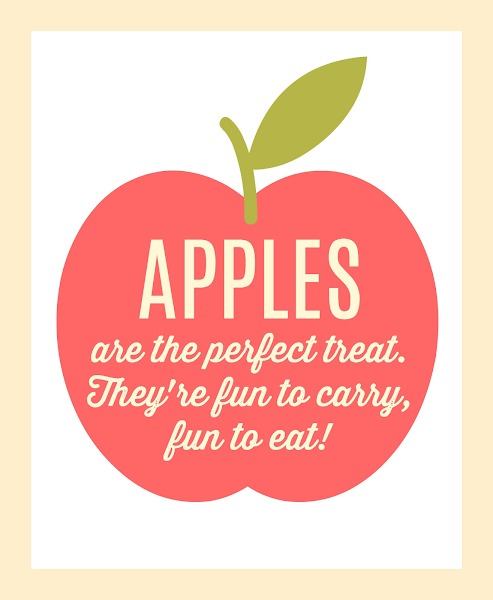 They talk about apples, and they do this cute little apple song/chant. I've always liked it, and one year I was crazy enough to write down the words to it. It's kind of fast, so I had to rewind, rewind, and rewind to get it all. I want to get it all typed up at some point, but for now, the first few lines will do. And if you're not into cutesy Barney song lyrics, then I have a chalkboard apple printable that might fit your style better. 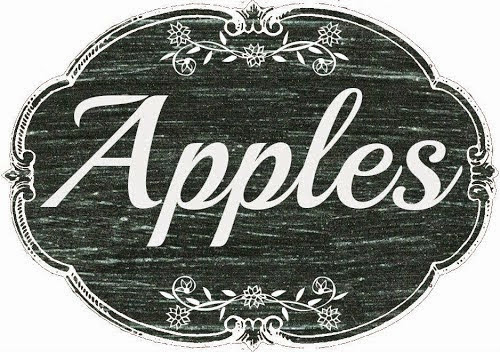 Your printable apple is just awesome looking. The artwork is mind blowing. Thanks for sharing article. Wonderful post. Really so interesting. Thanks for share.